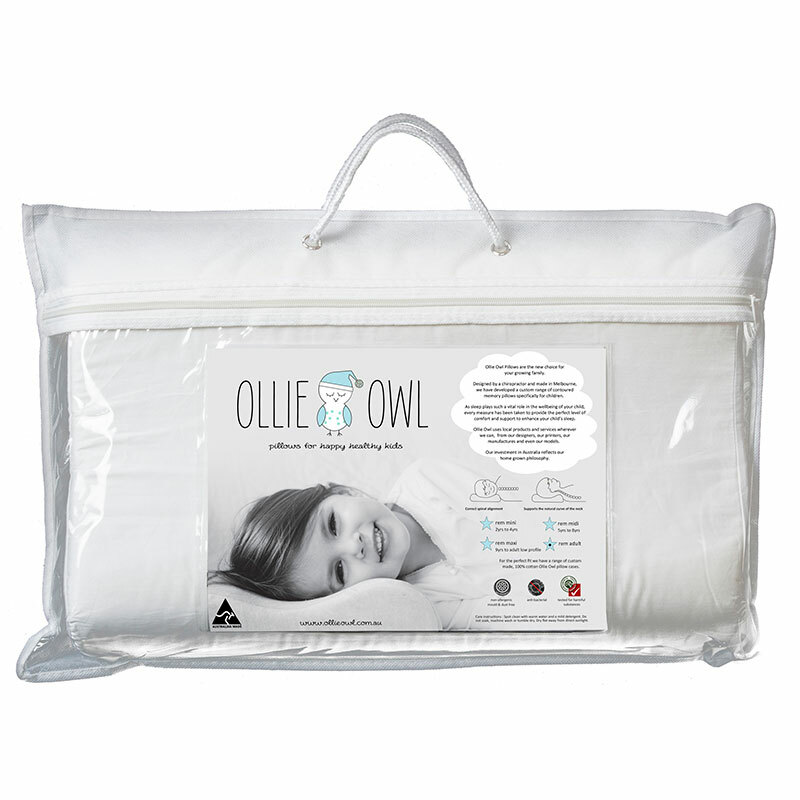 Ollie Owl Dream Mini pillow – chiropractic designed memory foam pillow. Designed and made in Australia. Good Environmental Choice Australia (GECA) approved, with a removable 100% cotton cover with zip. 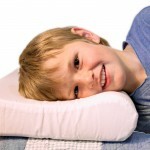 Cover and pillow are dust-mite resistant, hypo-allergenic mould-free foam with anti-bacterial properties – suitable for asthma or allergy suffers. Non toxic and moisture resistant. 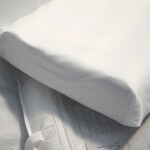 Cushions and absorbs movement; the pillow is designed to maintain its shape and allows an even distribution of body pressure during sleep. 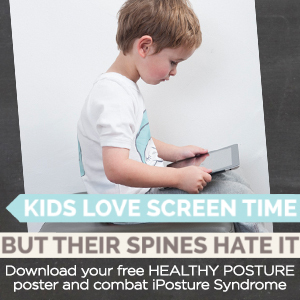 Comes in a convenient sturdy carry bag, with a one year guarantee.